“By grace, the Savior accomplished his atoning sacrifice so that all mankind will attain immortality. “By his grace, and by our faith in his atonement and repentance of our sins, we receive the strength to do the works necessary that we otherwise could not do by our own power. “By his grace we receive an endowment of blessing and spiritual strength that may eventually lead us to eternal life if we endure to the end. 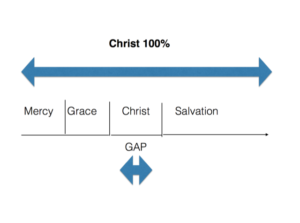 “By his grace we become more like his divine personality” (“Redemption through Christ after All We Can Do,” 4–5). “We cannot earn our way into heaven; the demands of justice stand as a barrier, which we are powerless to overcome on our own. “But all is not lost. “The grace of God is our great and everlasting hope. 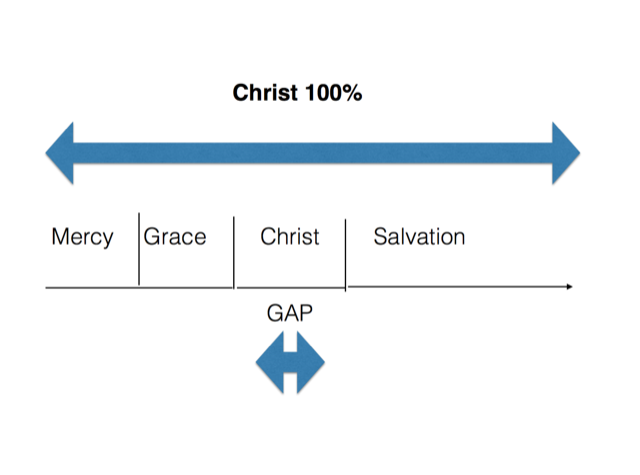 “Through the sacrifice of Jesus Christ, the plan of mercy appeases the demands of justice [see Alma 42:15]” (“The Gift of Grace,” Ensign or Liahona, May 2015, 108). 2 Nephi 2:4 4 And thou hast beheld in thy youth his glory; wherefore, thou art blessed even as they unto whom he shall minister in the flesh; for the Spirit is the same, yesterday, today, and forever. And the way is prepared from the fall of man, and salvation is free.